NAPCAN has developed the Children’s Voices Project which can be downloaded here on our website. It provides a means of asking children what they like and would like to change in their Community. This kit provides a way to hear the voices of children and enable them to participate in meaningful decisions about their physical and social environment. How are children and young people represented in the media? What messages do children and young people see and see about themselves through the media? How can children and young people get their voices heard in the media? How can we promote children’s rights in the media? The exhibition provides an opportunity for local children to showcase their artistic abilities and creative pursuits. Art & craft activities, Fun Bus, jumping castle, petting zoo, story-time, magic show with Hyper the clown, disco with Kevin, free give away and morning tea. An exhibition of works by students from St Francis Xavier School, Daly River. Celebrating talent in Children’s Week. Proceeds from sale go to Xavier School. This very popular annual family event at Darwin Waterfront with waterslide, art and craft activities, Fun in the Parks, storytelling, glitter tattoos, balloon twisting entertainment and lots more. ALL FAMILIES WELCOME to enjoy the face painting, Jumping Castle, Blooming Tunes, animal encounters, story-time, muffin and fruit for the kids. Loads of fun things to do for all ages. Coffee available for purchase. Parent workshop with information on development of eating skills, first foods and practical tools for successful start to solids. Free fun activities with Smile-A-Mile Fun Bus & Toy Library, Territory Wildlife Park and Early Childhood Australia – badge making, face painting, reptiles, instamatic photos and lots more. Join with families from the rural area in huge amounts of fun. Enjoy the Petting Zoo, Jumping Castle, Instamatic Photos, Hobby Horse rides, face painting, jumping castle, free sausage sizzle and loads and loads of fun stuff for everyone. Come ready to get wet and colourful. There will be plenty of fun activities for the whole family, including a Family Colour Run, the NT Fire & Rescue Slippery slide, Sandcastle Competition, Face Painting, Art, Make Your Own Boat, and a Free BBQ! Showcasing the skills and talents of Alice Springs children. 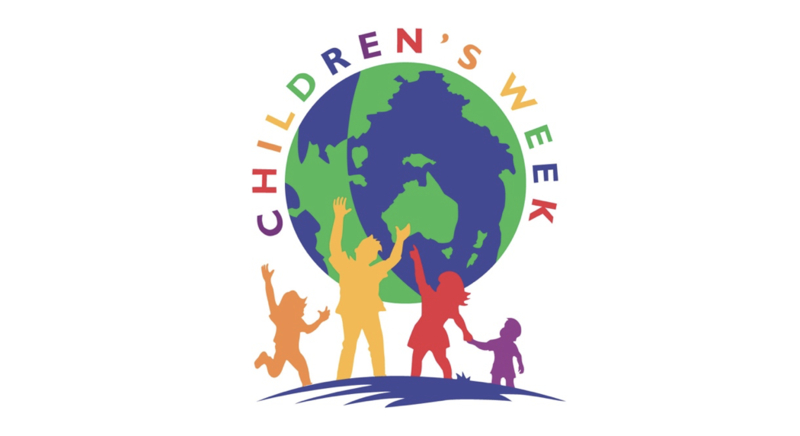 To celebrate Children’s Week, we are fortunate to have two guest speakers, Ms Megan Mitchell, National Children’s Commissioner and Hon Dale Wakefield Minister for Territory Families to talk about the rights of children. Tickets: $68.00. Complimentary sparkling wine on entry. Traditional damper, gourmet BBQ buffet and sticky date pudding. Local children, Playgroup mums and bubs, local children and families are all welcome to participate in the Children’s Voices project asking children to draw or write what they like about their Community and what they’d like to change.